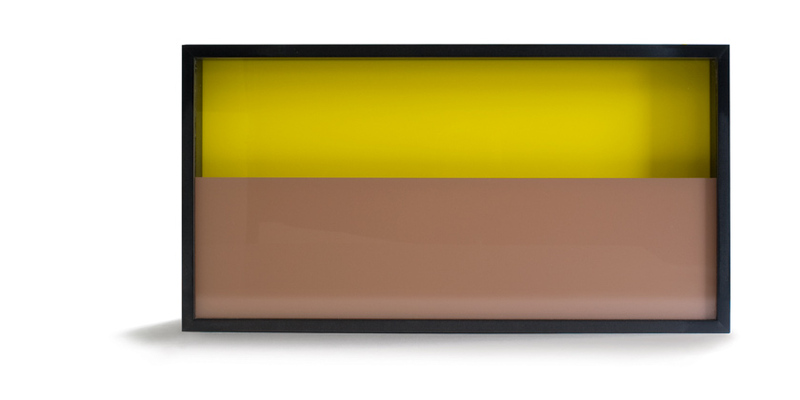 Ruscha, Ed / Bustamante, J.-M.
Case (MDF black) with two-sided plexiglass and silkscreen, 34.5 x 66 x 14 cm (13½ x 26 x 5½"). Deluxe edition with built-in book of same title and silkscreen insert, 28.5 x 57 cm, folded, signed by both artists, numbered. Edition of 20 (front and back view illustrated).